I love the detail of the raindrops. Beautiful. I'm loving the pretty flower shots lately. I myself am so glad spring decided to get here. Happy Sunday! Beautiful picture and you can even see the droplets of rain. 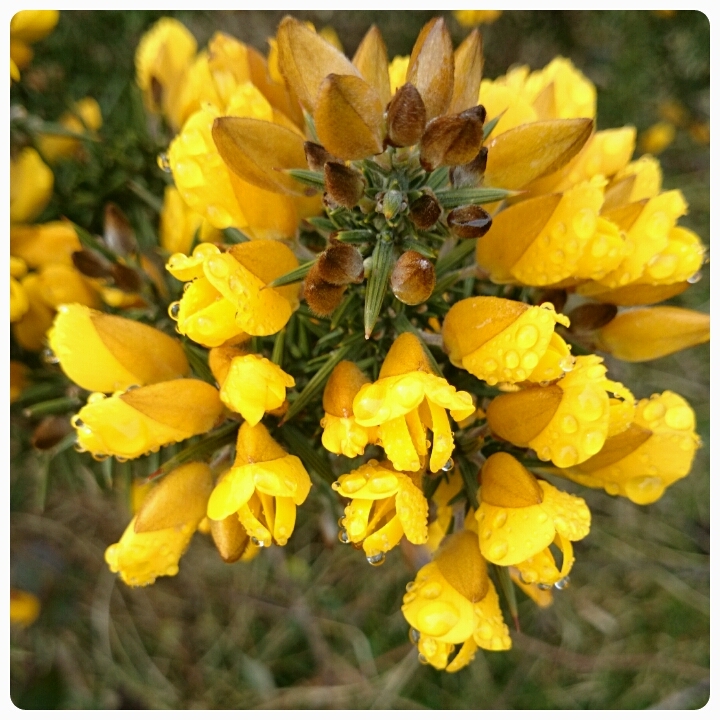 Is it gorse? Love yellow, it really is the colour of spring! Very cool shot - what kind of flower is this? Beautiful photo, loving all the colour and detail. Lovely shot Chantelle! Very sunny! Beautiful photo - love the colour and the raindrops on the flowers.